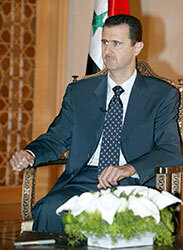 President Assad's Interview with Spanish El Pais Newspaper, October 01, 2006. 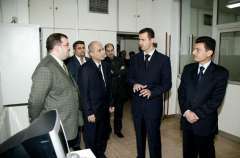 Damascus, Oct. 01 (SANA)- President Bashar al-Assad summarized in an interview with the Spanish best selling newspaper of El- Pais Syria's stances over the regional and international developments, particularly after the Israeli war on Lebanon as well as several topics regarding internal affairs. President Assad said that one of the mistakes committed by the big powers is that they deal with an event on a short-term basis. He asserted that Syria's stance remained unchanged before and after the war, adding that one of the reasons which led to the war is that they didn't understand Syria's role or the problems of the region in addition to not understanding the role of the previous UNIFIL. 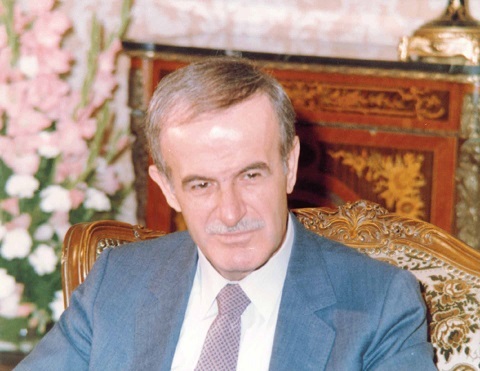 As for the UN Security Council resolution 1701 which talked about international forces that came to Lebanon, His Excellency said that Syria had a stance that it supported the UNIFIL and had warned in 2000 against reducing them at that time. E al premier Olmert manda a dire: "Vieni a vedere le nostre carte"
Parla Assad: "Israele tratti con noi"
E su Bush: "In Iraq non ha un progetto"
DAMASCO - Il presidente siriano Bashar al-Assad annuncia in questa intervista a Repubblica la sua scelta: "Voglio essere un uomo di pace". Porge a Israele un ramoscello d'ulivo: "Possiamo vivere fianco a fianco in armonia". Chiede l'intervento dell'Europa: "La Ue formuli una propria visione, radicata nella sua storia e civiltà: faccia da ponte tra il mondo arabo e gli Stati Uniti". Dà fiducia all'Italia di Prodi: "Conosce bene la nostra regione". E infine chiama in causa il premier israeliano: "Olmert parli con la Siria e, come dicono certi israeliani, "scopra se il nostro è un bluff", non ha niente da perdere". Signor presidente, due anni fa lei diceva che l'America, prima o poi, sarebbe venuta a bussare alla sua porta. Era una minaccia o una profezia? "All'inizio della guerra avevo detto: finirete risucchiati dal pantano iracheno, e un giorno avrete bisogno di qualcuno che vi tiri fuori. Adesso tutto questo si è avverato. Ma lasciamo stare le minacce e le profezie. Il fatto è che noi viviamo in questa regione, la conosciamo bene. La storia ci ha insegnato che affidarsi solo al potere delle armi non porta a nulla. E molte proposte del rapporto Baker ci danno ragione". "Intanto hanno bisogno del nostro aiuto per formulare un piano. Perché se chiedi loro che progetto hanno per l'Iraq ti accorgi che non ne hanno alcuno. Inoltre il rapporto Baker parla dell'esigenza di una pace complessiva collegando le crisi della regione al problema dell'occupazione - in Iraq come in Palestina e nel Golan - come noi abbiamo sempre sostenuto. E soprattutto, riconosce il ruolo centrale della Siria". E la Siria collaborerà? Washington vi chiede un ruolo costruttivo. "Certo siamo pronti a farlo. Perché se non si risolvono le questioni regionali - l'Iraq, il Libano, il conflitto israelo-palestinese - saremo proprio noi paesi confinanti a pagare il prezzo più alto. Ma la volontà non basta né possiamo essere i soli: per ottenere un risultato, al tavolo devono sedersi tutti: noi paesi confinanti con Israele e Iraq, le Nazioni Unite, l'Europa, ma anche Cina e Giappone. Serve un progetto che ci accomuni tutti".
" I think priorities lie in existence of a unified vision upon of the Arab region's future, particularly after the latest developments that had happened in our region… I think that top priority now following Iraq issue and terrorism spreading is stability issue because all of us have become targeted… and stability is the top priority and this is connected with the political and security side." President Bashar al-Assad has stressed Syria's desire for consolidating the Syrian-Egyptian-Saudi axis in support of the Arab causes. In a comprehensive interview given to the Kuwaiti newspaper 'al-Anba and published Saturday, President al-Assad talked about Syria's stances towards the regional and international developments. Answering a question on the priorities regarding the Arab concerns the President said:" I think priorities lie in existence of a unified vision upon of the Arab region's future, particularly after the latest developments that had happened in our region… I think that top priority now following Iraq issue and terrorism spreading is stability issue because all of us have become targeted… and stability is the top priority and this is connected with the political and security side." He added that another priority is the economic situation which also is linked to political and security condition as to the Arab relations as a whole … I think that all priorities are connected with each other but they change in accordance with circumstances . Regarding Syria's position among moderates and extremists, in accordance to the US Secretary of States classification, President al-Assad rejected the idea of camps that, as he said, has been created by the Americans." I don't put my self in camps… I put myself with the Arabs, because some had tried to show that Syria, through these camps, is out of the Arab camp… any camp is bad… any camp is rejected, as an Arab I hope that we will not be divided into camps, "
" I reject to be from the first camp or from the second camp. I am from the Arab camp." " As Arabs if we have viewpoints this is good thing and must be respected if we didn't agree on every thing …we are humans and some disagreements remain between us but through dialogue we bridge the gap… we have to enhance dialogue and not to be a fuel for the international struggle whether Arab against Arab or Arab against others,"
On a question whether the meeting of the GCC foreign ministers and those of Jordan and Egypt was directed against Syria, the president indicated that Syria did not consider that such a meeting was against Syria and said:" No on can convince me that these Arab countries met to stand or conspire against Syria." President Bashar al-Assad gave a televised interview to Egyptian well-known journalist , Hamdi Qindeel , broadcast on Wednesday night. On a question whether the victory of the Lebanese resistance can be considered a historic juncture, President al-Assad said that every new thing happens to any people is considered historic but the important thing where such a historic juncture would lead us. 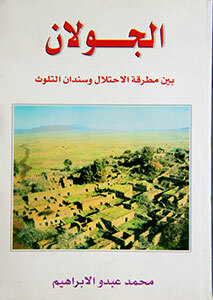 The invasion of Iraq is a historic juncture with backward direction , destruction and all the negative meanings .Of course what happened in Lebanon is historic juncture , and except for some various opinions in the Arab arena , the peoples have looked to what happened in Lebanon as a historic juncture with positive and right direction and falls generally in the interest of Arab peoples. The president went on to say that the Arab peoples have that spontaneous feeling which has been gained through experiences of the past decades that even precedes that of the politicians and should be taken into consideration . Of course what happened is historic and would be completed by the investment of its results. On Syria's vision of the New Middle East and whether it is attainable , the president said that reality imposes what kind of a Middle East , and there are millions of peoples in this reality in the Arab region and there are more than one billion in the Islamic region . The New Middle East will be as its sons want it and this will be determined by the realities and not by the Syrian view point. On what the foreigners want from the New Middle East, the president said that they want a Middle East to be a world that complies without hesitation with what they want such as a computer which you give data and in turn ,it gives you results , that what they want. On whether this Middle East would be subjugated to the US. or to Israeli hegemony, the president said that there is a reciprocal relationship , it was clear that there was a large American role in the war as far as the decision of the war and the procrastination with regard to the cease-fire. Such a role serves the issue of the New Middle East , but the steadfastness of the resistance foiled this approach , and the reaction of the Arab street foiled this approach too , and will foil it in the future. On who are the main players in the New Middle East, the president said that the Arabs should be the main concern , and of course Israel is a main player through aggression and the United States is also a main player since it is a super power and through its unlimited support to Israel . As for Iran , it is a country that has existed in the region from early history , but the Arabs who are absent from the political arena whether in the decision making or in shaping the future of the region. On the concerns of some people regarding Iran that occupies UAE islands and regarding her role in Iraq, the president said that one should ask the Arab countries about what they are afraid of , but if Iran plays a pivotal role it will fall in the interest of the region .The Arabs have no interest in being weak nations and if the strong countries play just and positive role this would serve stability in the region .As for the Iranian role in Iraq , you should ask the Iraqis , because Iran can not play a role in Iraq without the Iraqis. "Reform is to go with maximum speed but with the least losses"
President Bashar al-Assad on Monday gave a comprehensive interview to the London-based al-Hayat newspaper on the latest developments in the region. On impressions regarding retreat of the Arab role to the sake of Iranian one in the region, President al-Assad said: " We have to define whether the Arab role is existing or not," I don't think we had seen an important Arab role except formal one" he added.
" Iran is an important state in the region and its role is necessary for the region's security, in integration with the Arab role and not as an alternative," al-Assad indicated. He mentioned that the topic of the Iranian role was present in recent talks he has made with President Hosni Mubarak of Egypt.
" I frankly said that some are talking negatively about an Iranian role…The only solution is through creating an effective Arab role, so let us, on the Arab level, move in the Iraqi direction because it poses the main axis for talking about the Iranian role." The President noted. Answering a question on the cause of tepidity of the relations with Jordan President al-Assad said: " In general, the inter-Arab relations lack communication," adding " There is no essential disagreements with Jordan… We have political viewpoints that a little or much differ from Jordan's or others'." President al-Assad went on to say: " We are seeking to thaw out these relations through the economic file and political relations in addition to the security file." On a question on Jordanian differences regarding security issue, President al-Assad indicated that " There is no differences pertaining to the security file but there are mistakes that a certain official shoulders the responsibility for," underlining that all Arab regimes share the same concern over security particularly after the war on Iraq … there are terrorism and extremism spreading that all are suffering from. The meeting with President Mubarak dealt with the Syrian-Jordanian relations, and " mainly with the Palestinian and Iraqi issues not because Lebanon is unimportant and because performance of some Lebanese politicians have lost Lebanon credibility on the Arab arena." 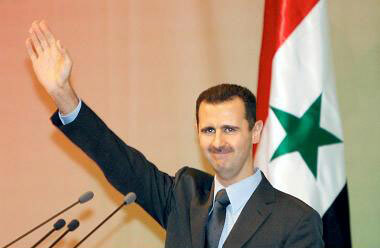 " Syria has twice welcomed Lebanese Premier Fouad al-Saniora visit to Syria even without agenda but he didn't come." 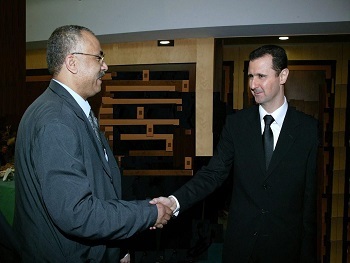 Al-Assad said. On whether Syria's doors are opened, as Lebanese Parliament Speaker Nabih Berri said, will they be opened also before Gen Michael Aoun, the President answered: " yes, surly," and if there were contacts for arranging his visit to Syria al-Assad said: " not yet, particularly that we are waiting for outcomes of Lebanese dialogue." 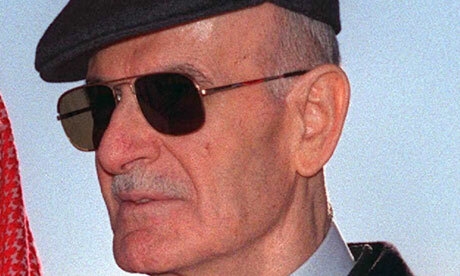 On MP Saad Hariri sayings to President Jack Chirac of France that Syria is deepening divisions in Lebanon, al-Assad pointed out that " divisions are part of Lebanon's history... 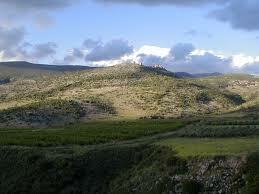 They didn't emerge neither in the civil war nor during Syria's presence in Lebanon. They are before the French presence itself, so talks on divisions are innovated and unreal." Whether the speech of Berri regarding the opened doors is fit in case Saad Hariri became Prime Minister, the President said yes, and "this speech was proposed to us 5 or 6 months ago when we said the same speech regardeless of the post… they asked if Saad Hariri comes to Syria, will he be received, we answered yes… it is not a problem, we in Syria will not go down in our policy to the level of the Lebanese statements, there are no personal factors in policy, but common interests,."